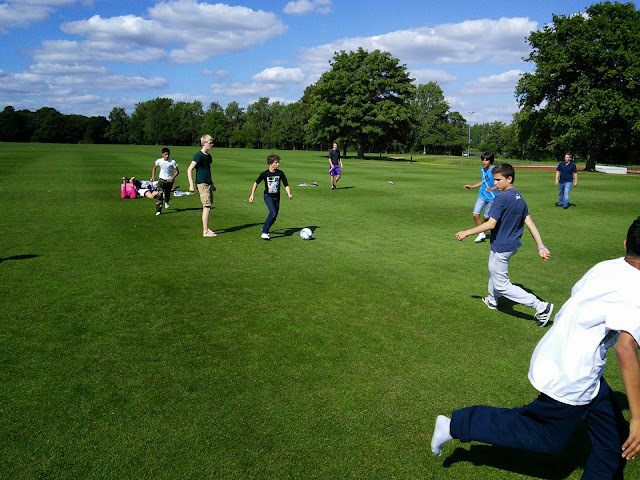 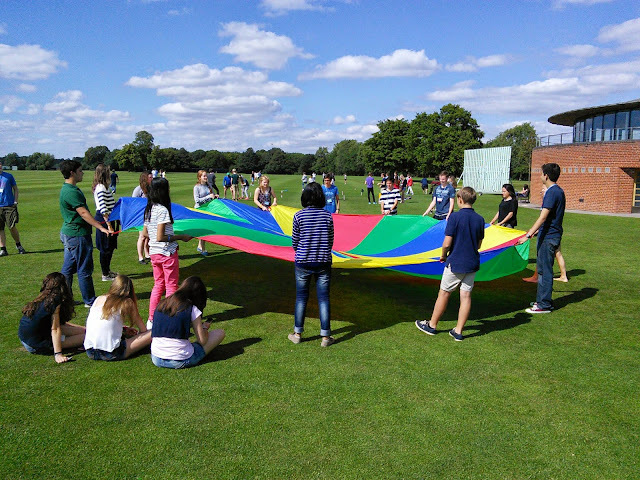 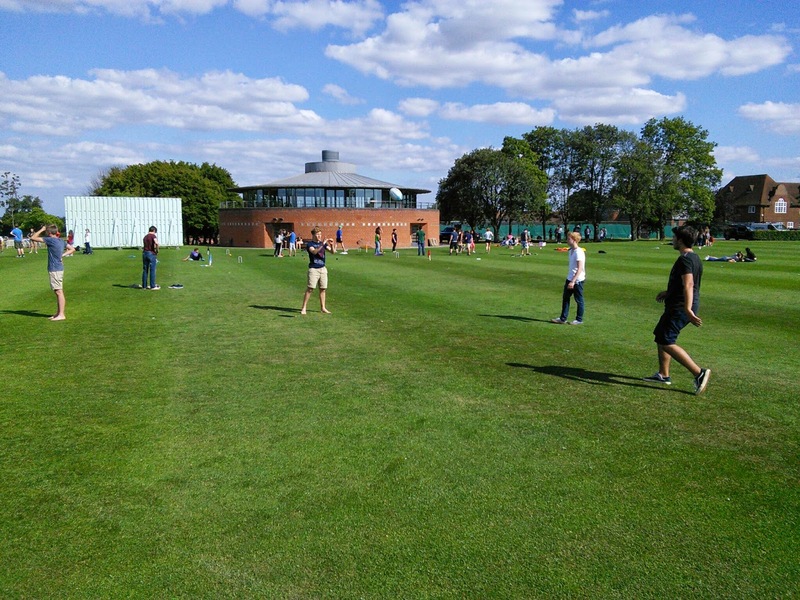 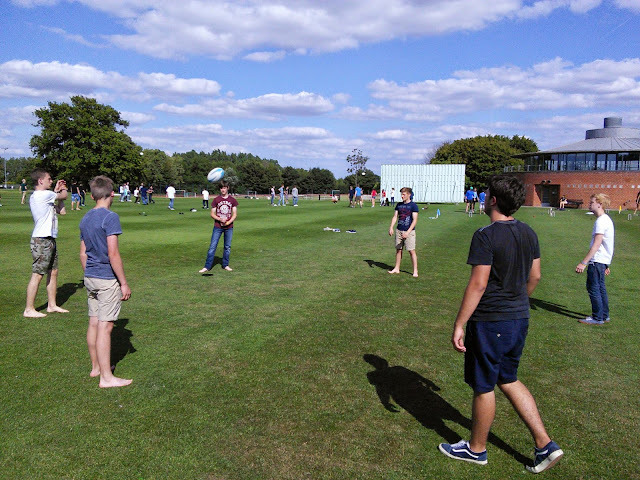 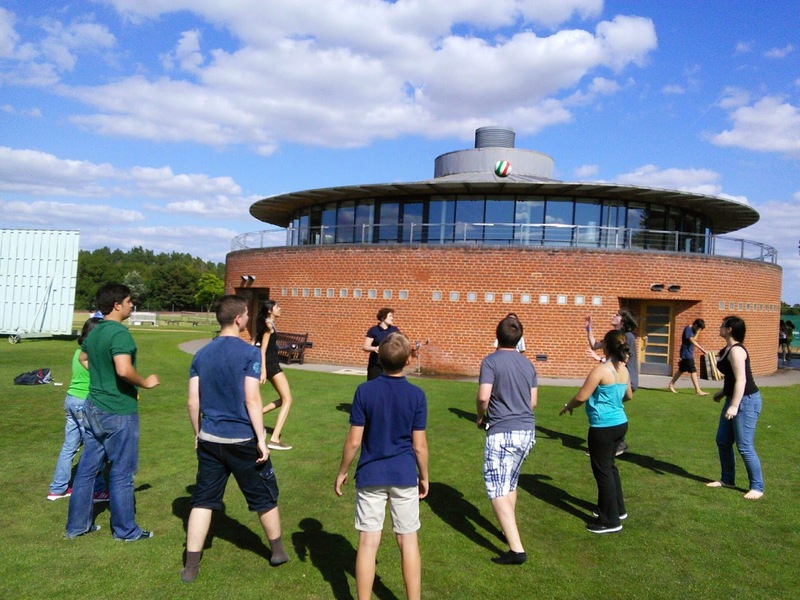 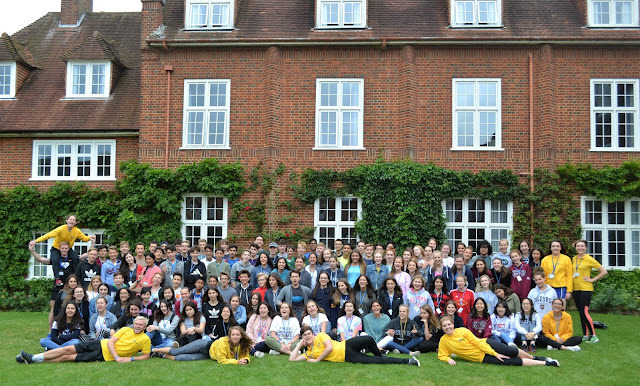 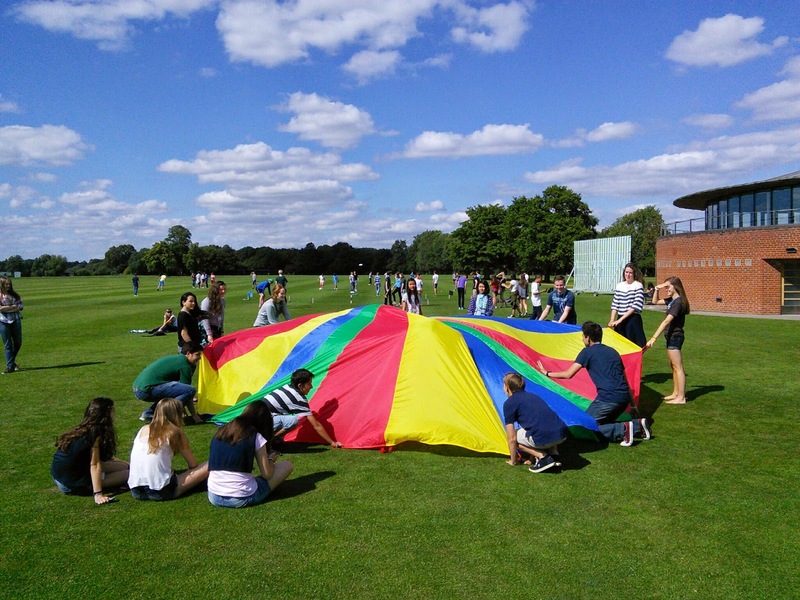 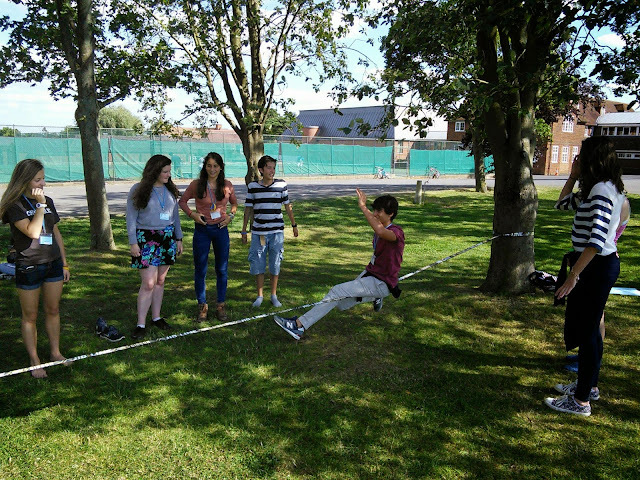 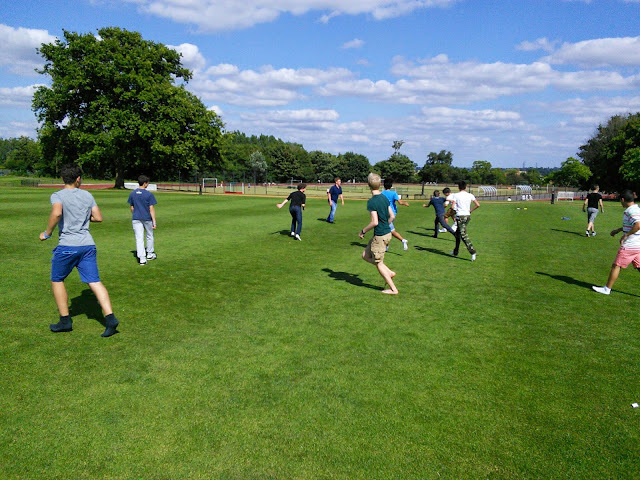 Radley Teens relax and enjoy some fun and games in the sunshine, before showing their workshop presentations to each other later. 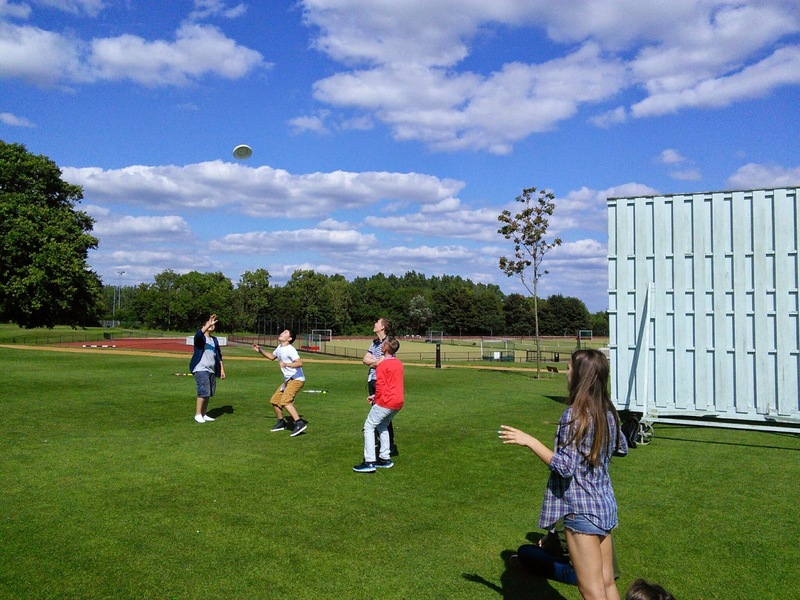 Other games they have been enjoying are frisbee, football, rugby, croquet, volleyball, and the jump line. 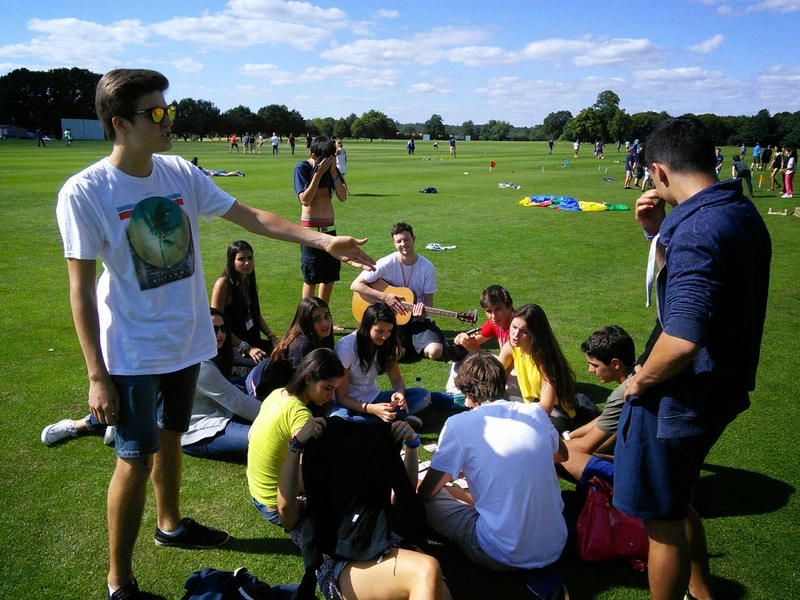 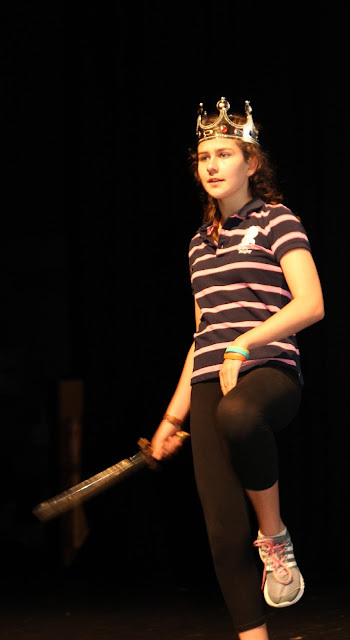 There's even been a bit of relaxing guitar music!